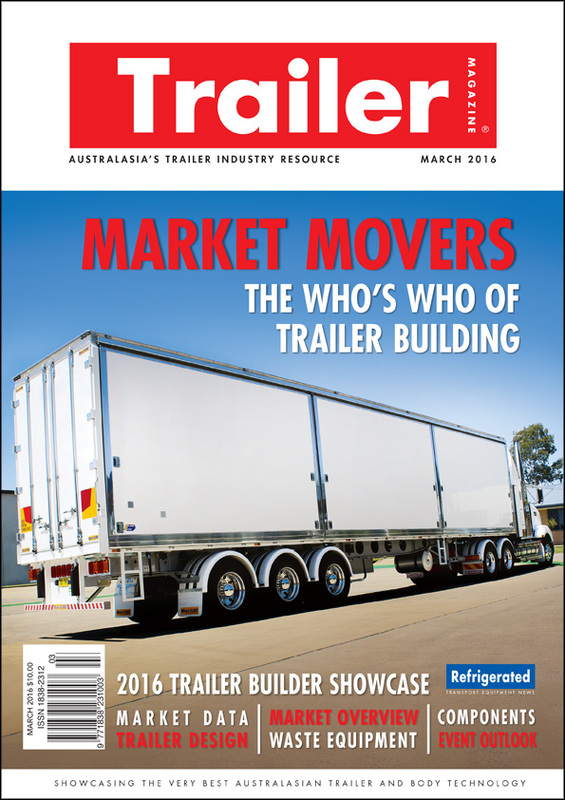 Trailer Magazine is Australia’s only publication that is focused solely on trailers, truck bodies and ancillary equipment. 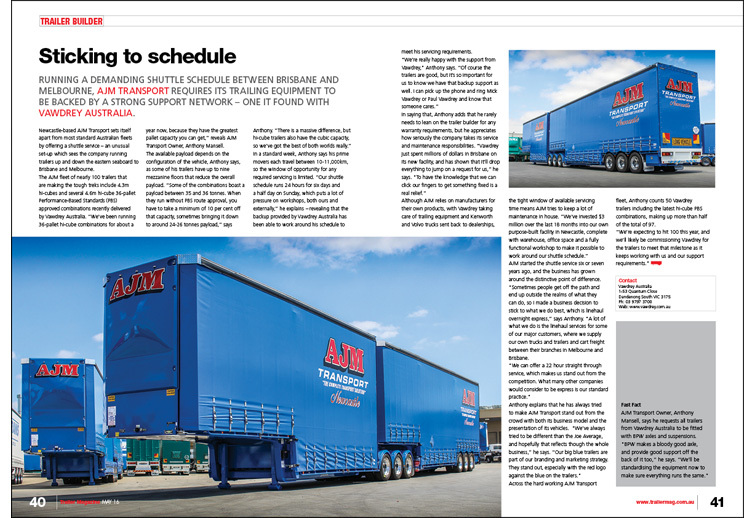 Trailer Magazine reaches every segment of the transport industry, from the boardroom to the bitumen, and brings its readers the latest in innovative technology and industry news. The magazine’s winning formula is a combination of direct advertising with technical-based editorial that provides tangible information by which our readers can make informed purchasing decisions. This strategy has worked well for large and small companies alike in growing their business. Owner-Drivers, Fleet Owners, Suppliers, Workshop Managers, OE Manufacturers and Suppliers, Consultants and Government and Association Officials. 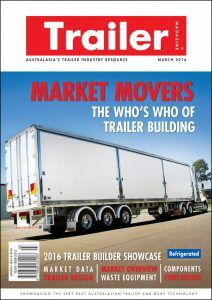 Trailer is Australia’s only B2B publication dedicated to the highly specialised trailer and ancillary equipment market. 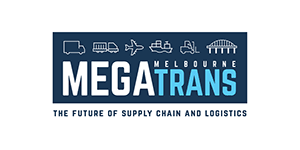 Globally renowned, it specialises in showcasing the unique equipment used in the Australian heavy transport market and portraying the people and businesses behind it – making for a market position unmatched by any other print title in Australia. 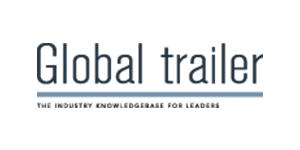 As the voice of the trailer manufacturing industry, Trailer also plays an important role in promoting best practice and pushing the industry’s public agenda. 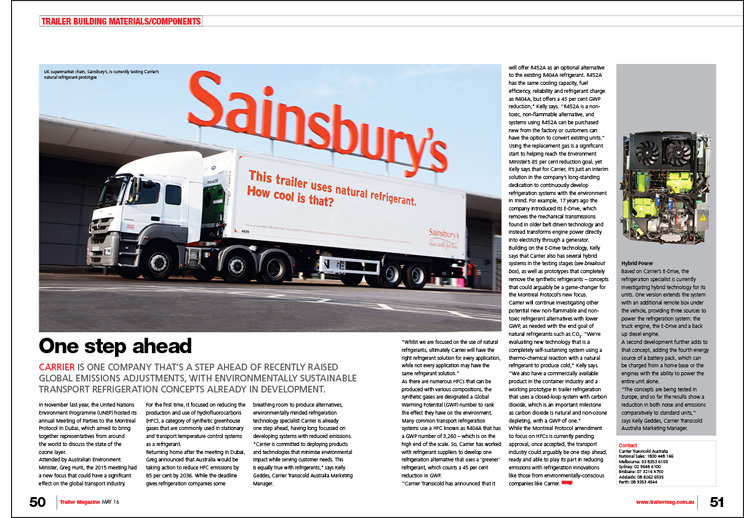 The Trailer Magazine web site takes the magazine’s message into the digital space, and enables our commercial partners to reach out to, and connect with, even more key decision makers in the market. 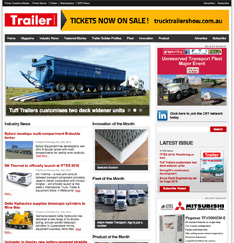 Developed to complement Australia’s only trailer magazine, trailermag.com.au provides users with the latest industry news, information, new product developments and interest stories. The web site features valuable industry resources, such as trailer builder lists, and supplier lists. 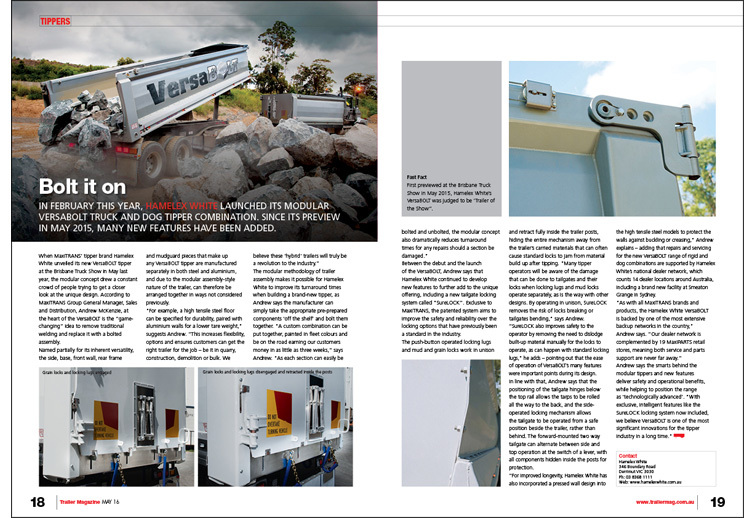 Trailer Magazine’s breaking content is delivered instantly through a variety of social media channels as part of its sister brand, CRTNews. These channels encourage interaction and generate important discussions on the future of the industry. 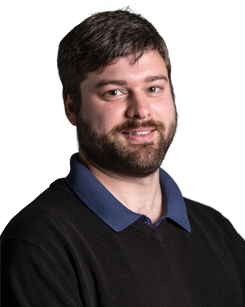 CRTNews’ Twitter and LinkedIn accounts provide an additional medium that encourages maximum engagement with its content.